Best Rated Panasonic Mirrorless 4K Cameras – A new breed of cameras is upon us, those that can shoot 4K video. 4K has four times the resolution of Full HD. You also can crop 4K video and still maintain Full HD. Each frame of video is an 8 megapixel picture which you can print or use as a still image. These cameras can also shoot high resolution still photos. With 4K you will be shooting at approximately the same resolution as is shown in movie theaters, with 8 million pixels of resolution. Panasonic has some unique and innovative 4K picture modes, including pre-record, post image focus and stacked focusing. 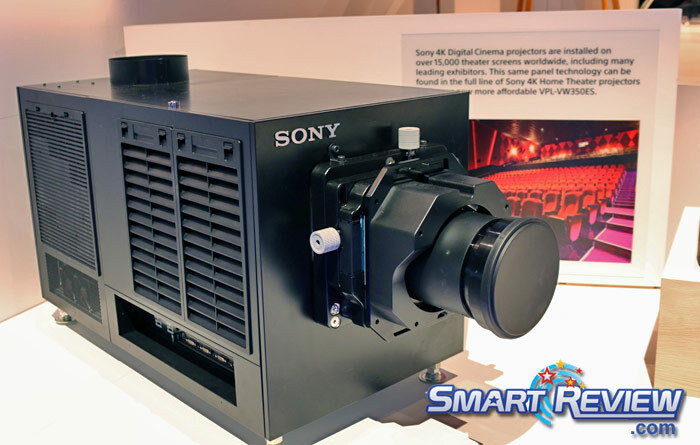 Most movie theaters nationwide today are equipped with 4K Projectors, which have the same resolution as these 4K cameras. By shooting in 4K today, you will future proof your videos, as the world is transitioning to 4K. The flagship Panasonic GH5 has powerful features not found in other cameras. At CES 2018 the GH5s low light 4K camera was introduced, and won our BEST of CES 2018 award. All Panasonic DSLM Mirrorless Micro 4/3rds cameras use interchangeable lenses with a crop factor of 2. See all of the Panasonic 4K camera models below and compare by price, reviews, imager size, and features. 4K Ultra HD & Cinema 4K = 4K is a new video standard which will be quickly replacing HD in the HDTV market. 4K has roughly four times the resolution of Full HD. 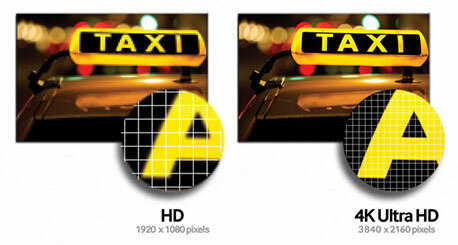 4K is 8 megapixels versus 2 megapixels for Full HD. The resolution of 4K is 3840 x 2160 pixels. This is the same resolution as 4K TVs have. There is another 4K standard that is used in movie theaters with slightly more resolution. This is Cinematic 4K which has a resolution of 4096 x 2160 (slightly wider). Some 4K dslrs, mirrorless cameras and camcorders have both types of 4K. The Panasonic GH4 and GH5 can shoot at Cinematic 4K. Movie theaters now have 4K projectors, so cameras that record at Cinema 4K will have the same resolution as the movie theater. Micro 4/3rds Imager = All Pansonic mirrorless DSLM Cameras utilize Micro Four Thirds imagers. These imagers have a crop factor of 2, which means a 50mm lens will have an effective focal length of 100mm. Panasonic 4K Photo Modes = Panasonic has a lot of 4K related features that other camera companies don’t have. You can extract any frame of video and create a high quality 8 megapixel image (in camera) from the 4K video you shot. There are also 4K modes, such as post focusing (you can choose your focus point later), stacked focusing (choose which focus points to make a stacked image), pre-roll (record before you hit the button), and other unique features. The picture above was extracted from a 4K video. DSLM Camera = The term DSLM refers to the new mirrorless cameras (Digital Single Lens Mirrorless Camera). All of Pansonic’s line of interchangeable lens cameras are DSLMs. This includes the GH4, GH5, GX85, GX850, G7, and G85. 5 Axis Dual IS = This type of image stabilization has both inbody sensor stabilization, lens stabilization (for approved lenses with IS), and electronic stabilization. You can also use non stabilized lenses and will still benefit from inbody image stabilization. 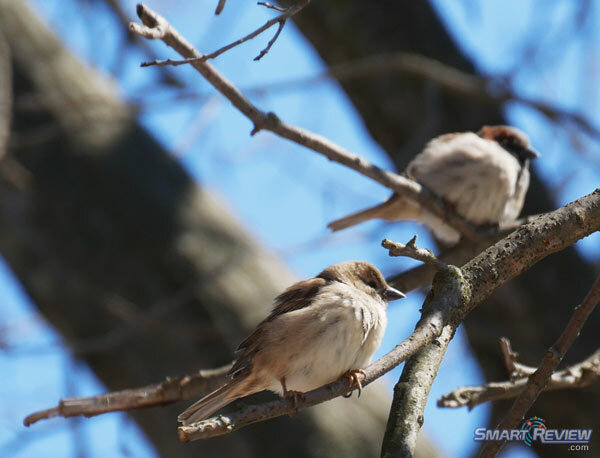 Most prime lenses do not have image stabilization. The Panasonic Lumix GH5, GX85 and G85 all have the latest 5 Axis Dual IS technology. Megapixels = This refers to the imaging sensor in the 4K camera. This is the amount of megapixels available to take a snapshot picture while using the camcorder. More pixels is not always better if you are shooting video, as the pixels are smaller, and not as sensitive in low light. Lower pixel count can also reduce aliasing. 1080p 720p 60i 24p 60p video = Most cameras can record regular HD video at various resolutions. Many can record at several different rates. 1080p is the old standard (blu-ray quality). 720p has about half the resolution of 1080p. Also keep in mind the frame rate of the video. Normal video is shot at 30fps (frames per second). 1080@60i is 60 interlaced frames, which is roughly equivalent to 1080p@30fps. Movie film is shot at 24fps (24p). Some cameras can shoot at 60fps (60p) which will make the movie silky smooth and can be used for slow motion as well. The latest standard is 4K Ultra HD, which is 4 times the resolution of full HD. External Mic Jack = This means that this camera is equipped with an external microphone jack or terminal to input an external microphone. There are a wide range of external microphones to choose from including wireless, surround sound, and others. An external microphone will improve the sound recording of your video. It bypasses the built in microphones. EVF Viewfinder = Most DSLRs and Mirrorless cameras use their LCD screen to compose video. However, many have an Electronic Viewfinder (EVF). The advantage of having an EVF is to use the viewfinder in bright sun, where the LCD may be hard to see. OLED viewfinders are the best type. Built-in WIFI = Cameras with WiFi and NFC (near field communications) allow you to control your 4K camera remotely or share contents. You will have the ability to stream video from your camera to a smart device such as an smartphone, tablet, or laptop and to the internet. You also can control these cameras directly from your tablet, smartphone, or laptop. Recording Bitrate = This is the top rate at which video is recorded. Generally higher is better, as you have less artifacts and problems with video that is less compressed. Newer recording formats like H.265 are coming for DSLRs that shoot 4K Video, and can record higher quality video with smaller files. 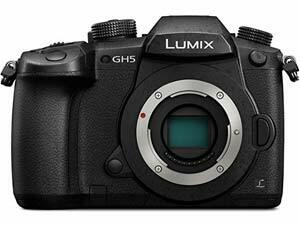 Panasonic cameras record 4K at 100mb/s, except for the Lumix GH5 which can record at far higher bitrates. Even at 100mb/s we find the 4K video free of artifacts.